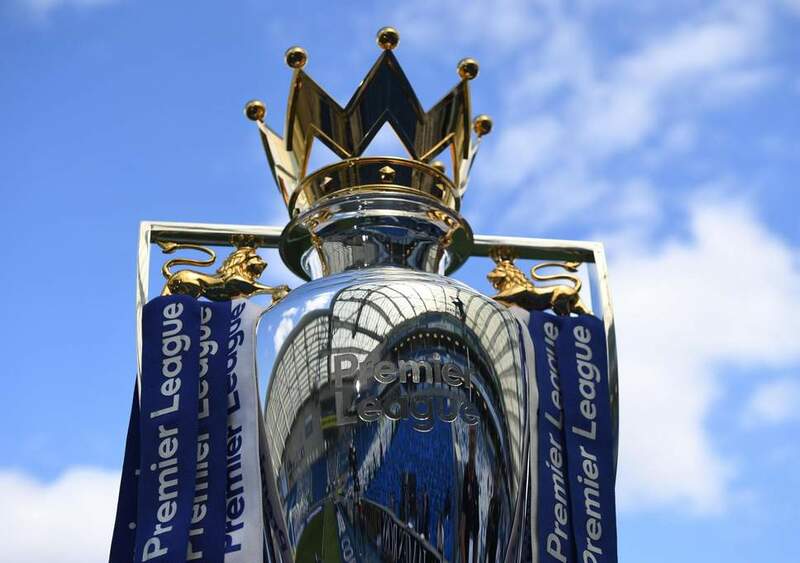 The 2018/19 Premier League season promises to be yet another thrilling marathon like every upcoming campaign of the most loved and watched league in the world. City come into the season as defending champions but no team has successfully defended their crown since Manchester United did so in 2009. Many think that Liverpool pose the biggest threat towards Pep’s side but United, Chelsea, Spurs and Arsenal will be fancying their chances too. Unlike in the past, the transfer window shuts before the first game of the season and i make my submission with just over 24 hours to its close. Yes like i mentioned earlier, no side has won back to back Premier League titles since United won three in a row between 07 and 09 but i am tipping City to go one better than all the previous nine winners. There has not been too much transfer activity going on at the Etihad this summer and apart from record signing, Riyad Mahrez, City has not made any other major acquisition but how does one improve such a squad that made history last season? Clear not even the best manager could tinker with it. At the close of last season, i thought Pep needed another Centre half but with captain Vincent Kompany looking in good shape and John Stones having a descent World cup, buying another defender would only destabilize the set up that still has last season’s best defender in Nicholas Otamendi and a certain Aymeric Larporte who is yet to find his feet in the English game. The purchase of Algerian star, Mahrez only adds options to arguably the best attack in the league as they still have the core that win them the title last season. City may not win it by 100 points like they did last season but to me, the serial winner in Pep will have enough in his armory to ensure his side doesn’t get complement and win a second league crown on the trot. 2- Liverpool. It would be absurd to think Liverpool has not improved both their first team and squad this off season. Jurgen Klopp will be feeling the pressure that comes with spending big but it is worth the risk if he is to win his maiden silver ware at Merseyside. The acquisition of Brazilian goalkeeper Alison Remses Becker looks set to end their shot-stopping issues that have existed for almost an eternity and solves the puzzle at the back. When you go back to Van Dirk’s arrival in January, the team looked a whole lot organised at the back but still let in cheap goals that i think, had they not slipped in, Liverpool would have finished in the top two. They now have a keeper capable of winning 7-10 points for them and adding the tally that will be achieved by the devastating trio of Sadio Mane, Roberto Firmino and last season’s top scorer- Muhammad Salah at the other end, they will be a force to reckon with. Lets not forget that they have also brought in Brazilian enforcer, Fabinho and Naby Keita to improve their midfield that looked out of sorts at times last season. The two may not be big names but their abilities clearly fit into Klopp’s style of play and will clearly add value to the team. For Xhaden Shaqiri, he is more of an option in attack but imagine him coming on against a mid-table side with Liverpool drawing. He will clearly add an extra dimension upfront with his direct running and bang, may be the Reds will win half of the games they drew away to such teams last season, points that will help them challenge City this upcoming season but end up finishing second. 3- Chelsea. The Blues have had a frustrating summer as more of their stars are linked with moves away from the Bridge than them purchasing others. Mauricio Sarri replaced Antonio Conte after last season’s disappointing 5th place finish and joining him as the major signing is Brazilian-Italian, Jorginho. What Jorginho brings to the team is the deep-laying play-maker that has eluded Chelsea for a while and with Fabregas aging, the lito Italian brings much needed energy and creativity in front of Ngolo Kante that the team lucked for the entirety of last season. Sarri will without a doubt impose his style at Chelsea and looking their preseason, the players will adapt to it sooner rather than later. Thibaut Courtois may be headed for Real Madrid but once a deal for 23 year old Athletic Bilbao keeper is completed by Chelsea, they will have gotten a keeper who is capable of playing in Sarri’s style. He may not be in the caliber of Courtois as yet but i see him becoming one of the very best in future. With all that said and Hazard staying at the Bridge, their biggest concern will be center half and who bangs in the goals at the other end. Yes the goals will go in as i believe Alvaro Morata will come good this season and like Napoli did under Sarri for years, Chelsea will be ok with scoring three and conceding two. The sole reason i think they will finish third is that the others below them will have more issues to deal with as Chelsea grip onto third place. 4- Manchester United. Whether Paul Pogba joins Barcelona or not, United will have the same old problem-Jose Mourinho. With all that have in their ranks, it is difficult to assess why they have under achieved especially last season. Mourinho has brought in one major signing in Fred but i am still yet to be convinced on how he improves the first team. He is certain to get playing time as Nemanja Matic does not start the season because of injury and how United fans will be praying that he hits the ground running and by time that Serbian giant returns, the two be paired in front of world cup winner Paul Pogba, that’s if the later doesn’t force a move out of Old Trafford on transfer deadline. The simple reason that makes me think United will only finish fourth is that they have not addressed their weak areas from last season and the fact that Mourinho has already started popping up with excuses. The team looked hapless at the back last season with David Da Gea saving them in almost every match and just hours to the close of the window, only Diogo Dalot has been added. Will he start? I don’t think so, leaving United with the same starting back-line as last season and with the players in it, i see the same old problems from last season. The other area that they lacked in, was upfront. Romelu Lukaku is good but he can’t get any better than he did last season and to me, he is not a striker to get United over the white-wash. The only way United overcome the Lukaku issue is if Marcus Rashford and January signing Alexis Sanchez step up and we all know the later can but with the way Jose wants him to play, it will take more than his tenacity to achieve that. United to complete the top four. 5- Arsenal. Yes Arsenal has improved especially with the purcahse of goalkeepr Bernd Leno, Sokratis Papastathopoulos, Stephen Liechestiner and Lucas Torreira but the billion dollar questions is, are they the players that take them back to the top four? To me it’s a simple ‘no’. The four are an improvement to the team but when you compare it with the other squads, one struggles to fit two or three players in City, Liverpool, Chelsea or United’s team. Yes Wenger left but the Arsenal hierarchy has not done much in terms of transfer funding to suggest that the team will be miles ahead of the Frenchman’s. I see them struggling at both the back and midfield departments despite of the fact that i think they will score more goals at the other end than last season as Pierre Emerick Aubameyang and Alexandre Lacazette, two proven goal scorers have the entire season ahead of them and with Mesut Ozil having only Arsenal to think about after retiring from the National team, he will clearly be an improved provider for the pair. The best Arsenal can do is finish fifth. 6. Tottenham Hostspurs. Mauricio Pochettino has failed to improve a squad that proved lacking last season and i think it will be their down fall. For spells last season, they looked to be ordinary especially whenever either Harry Kane or Christian Ericksen was out of the team. That is a sign of a team that does not have a solid foundation. Like i stressed at the start of last season, Tottenham need an option to Kane which i doubt they will get in the last hours of the window. They looked magnificent in the middle last season but with Moussa Dembele’s exploits at the Russia World cup coupled by Victor Wanyama’s injury issues, i don’t think they will be as good as last season. Dele Ali is also now starting to prove he is English after all-one or two good seasons at the beginning and then losing it. It is painful for Spurs to finish behind Arsenal but i think they will do exactly that this time round unless they make two or three deadline day signings which is highly unlikely. Spurs to finish bottom of the top six.